The Sanlam Cape Town Marathon is a City Marathon held in Cape Town, South Africa, which is sponsored by Sanlam, the City of Cape Town and Vital Health Foods. The marathon is held on a fast and flat course, starting and finishing in Green Point, near the Cape Town Stadium. Prior to existing in its current format, the Cape Town Marathon was organised by Celtic Harriers running club. It started and finished in Pinelands, and was introduced in 1994. 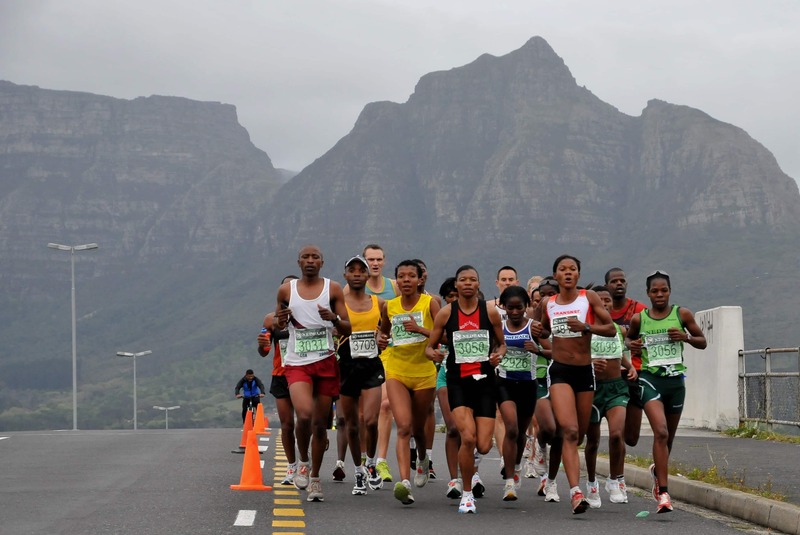 This was then followed by a separately organised marathon, which was also held in Cape Town in 2005 and 2006. The first Cape Town Marathon (in its current format) was run in September 2007. From 2007 to 2009 the race was organized by Western Province Athletics, under a corporate sponsorship agreement with the national federation, Athletics South Africa. 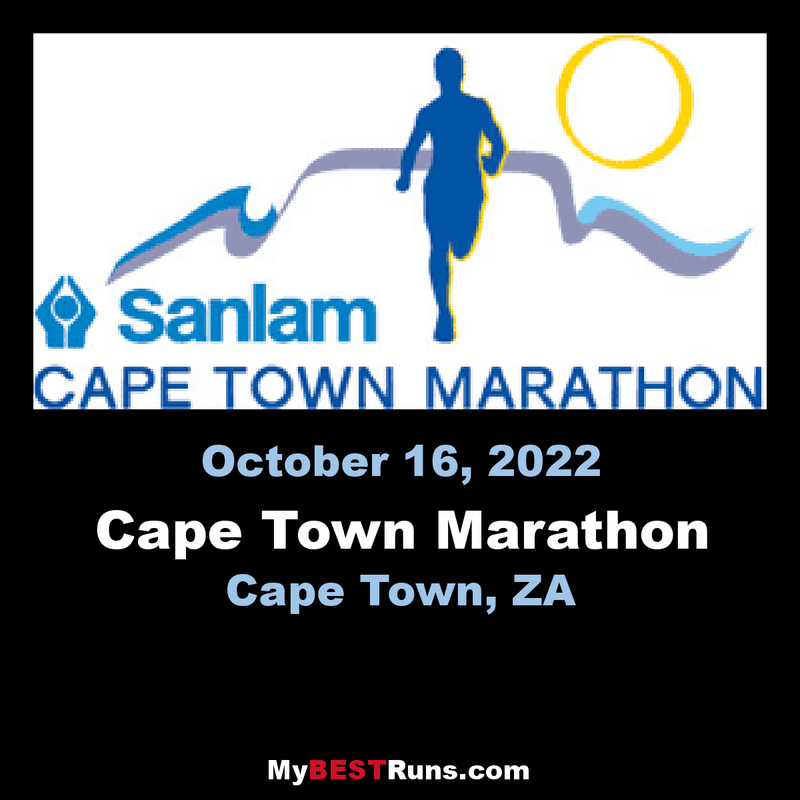 From 2014 its name changed to the Sanlam Cape Town Marathon, and it is being run under a joint partnership between Western Province Athletics, The City of Cape Town and Asem Running. Brand Ambassadors include Francois Pienaar and Elana Meyer. In 2014 and 2015 it was accredited with IAAF Silver Label status., in 2017 it was the first African Marathon to achieve IAAF Gold Label Status, it is also accredited as a Climate Neutral event. In 1996, the Cape Town Marathon was won by Josia Thugwane, who went on to win the men's Olympic Marathon at the 1996 Summer Olympics in Atlanta, Georgia. 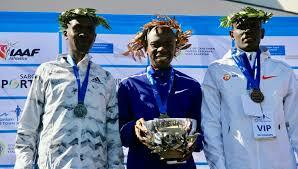 The 2013 men's winner Lindikhaya Mthangayi (2:17:02) was stripped of his title in 2014 due to a failed doping test for the steroid methandienone The original runner-up Paul Manawa was elevated to first place as a result. The Mens course record was set in 2016 at 2:08:41 by Asefa Negewo (ETH) and by Isabella Ochinchi (Kenya) in 2015 with a time of 2:30:20. The cash prize is 2,036,800 ZAR. Lowest point is 2m above sea level (Liesbeek Parkway – next to river.